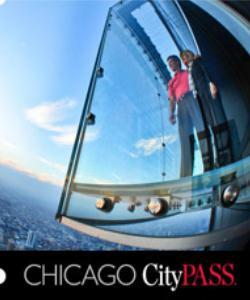 Chicago CityPass reveals the American Midwest’s most dynamic destination. The city is built along a sweep of Lake Michigan shoreline. Shimmering skyscrapers reflect its green and gray waters. The Magnificent Mile – a portion of Michigan Avenue – is famous for luxurious shops and hotels, fine restaurants, and remarkable architecture. Take a good look at the landscape from one of the observation decks high above the city – with a four-state view – to admire marinas, zoo, sophisticated neighborhoods, and a hard-working, fun-loving population. Four of our CityPass attractions are clustered to the south of city center, and also afford spectacular views of city, water, and commerce. Sears Tower Skydeck OR John Hancock Observatory.